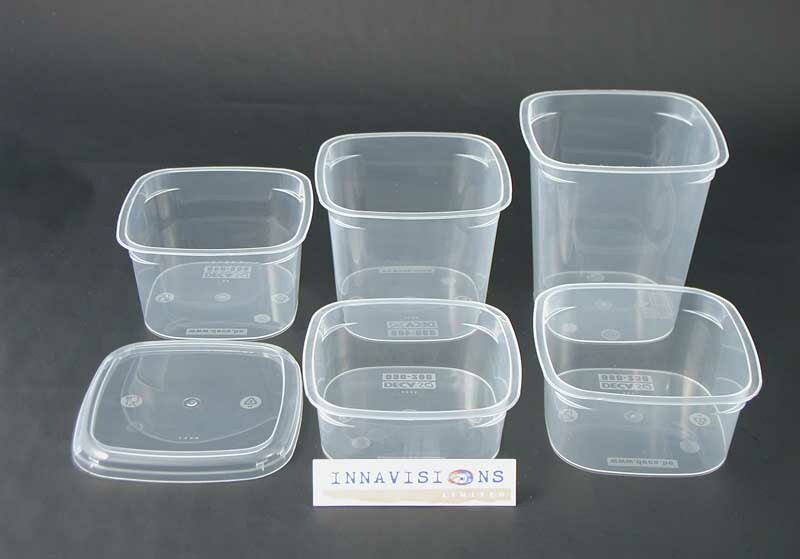 Innavisions Plastic Packaging offers a complete range of injection moulded and thermoformed plastic containers and trays. 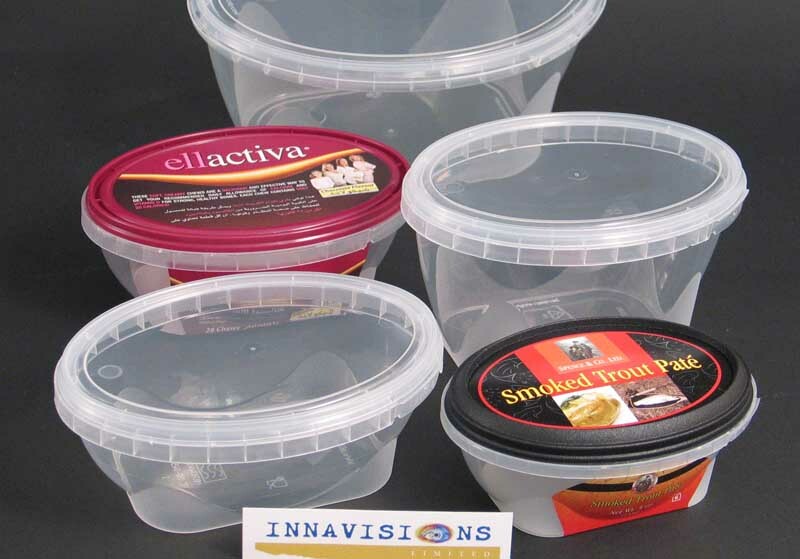 As exclusive UK sales agents for Cups4You of The Netherlands and Decapac bv of Belgium, Innavisions can provide unique tamper evident containers for both food and non food applications. We aim to be the complete plastic packaging supplier for it’s customers and hence also works on behalf on a small number of excellent UK suppliers to complete the range of plastic packaging offered. 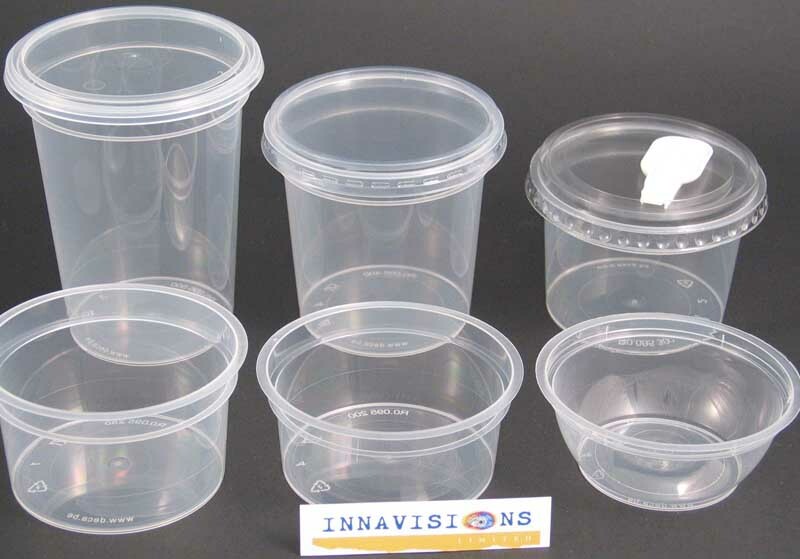 All tamper evident containers are suitable for microwaving and have liquid tight push on lids. 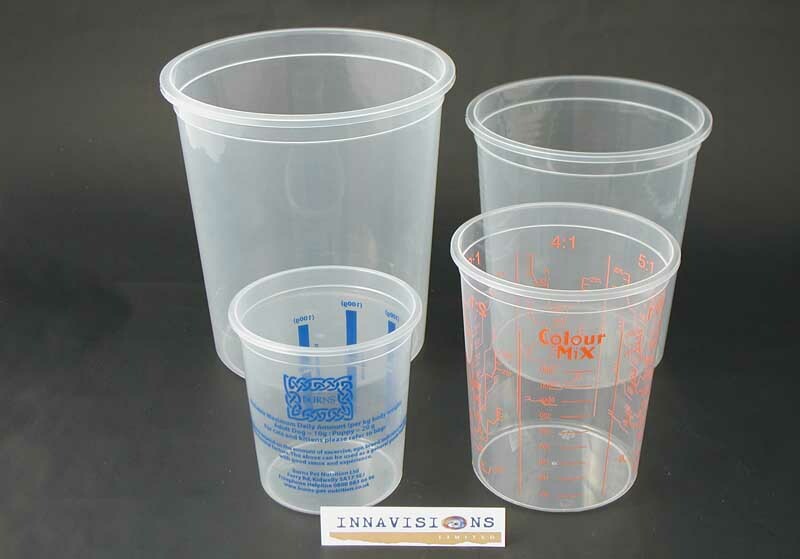 The range of tamper evident containers is very extensive and includes sizes from 50ml up to 2500ml. 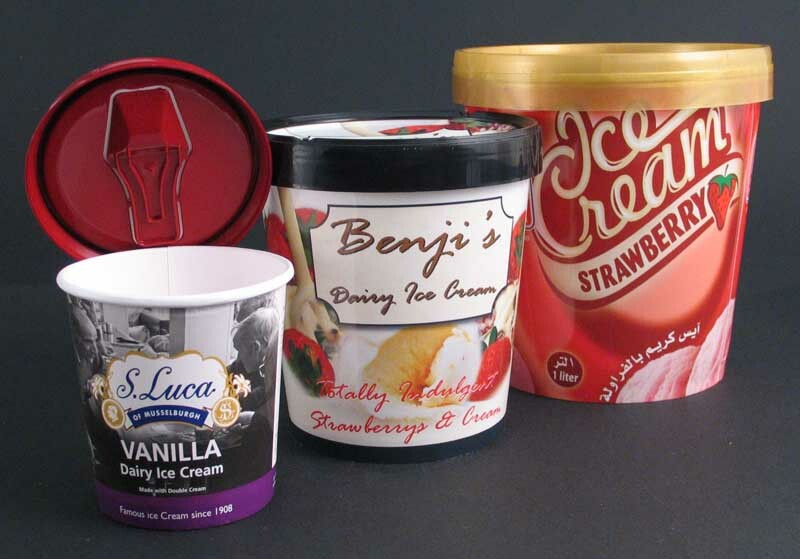 All can be decorated with In Mould Labelling to give the best quality decoration available. 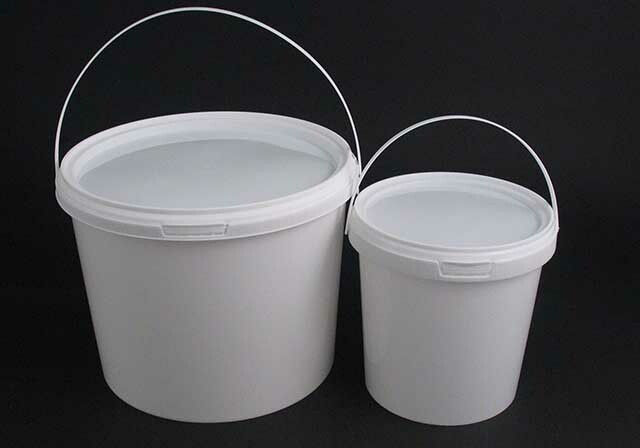 A number of sizes are available under one generic lid, based upon diameters of 48mm, 69mm, 95mm, 118mm, 133mm, 146mm and 160mm. 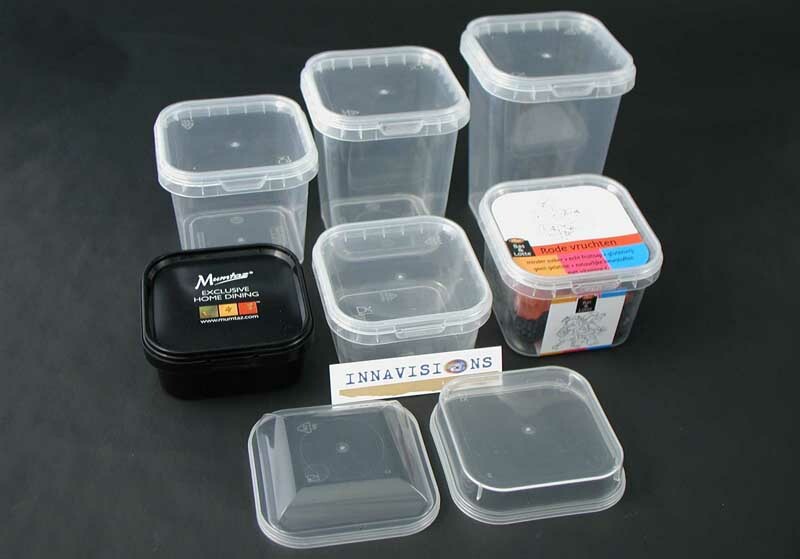 The square container range is currently being extended with more sizes available from June 2008. This will give one range under a common lid from 125ml to 425ml, and another range under a larger lid from 2000ml to 5000ml. 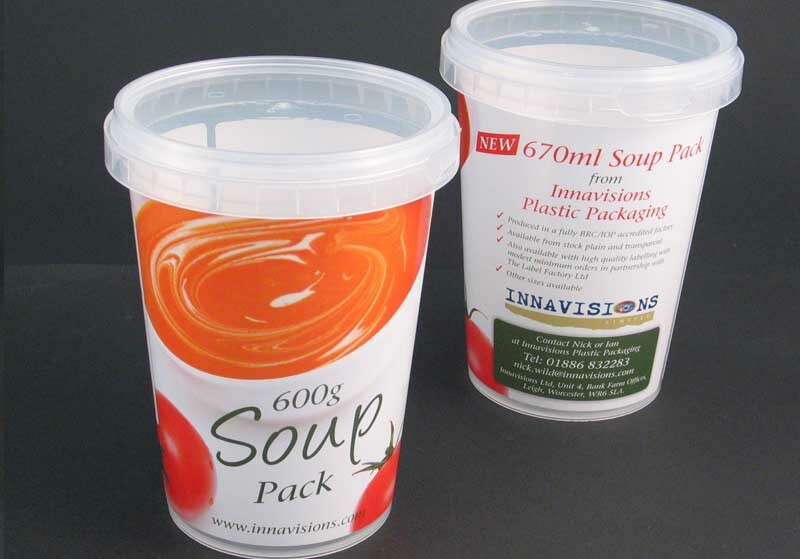 Unique to Innavisions in the UK is the Elitocup range of oval shaped packaging. Tamper evident containers and film seal versions are available from 165ml to 1100ml. Cittycups are specifically designed packaging for “food to go” and will fit neatly into coffee cup holders in cars. Already very successful, the range now includes 250ml and 500ml sizes. 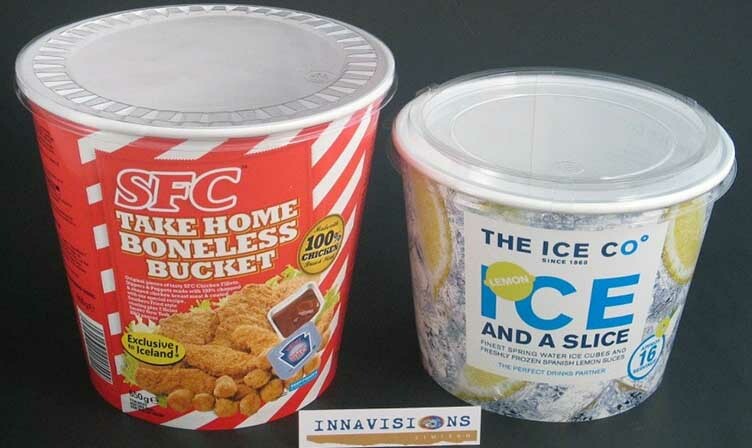 Rectacups are also very popular in the market place, the rectangular tamper evident containers offer efficient use of space in sizes from 270ml to 4000ml. 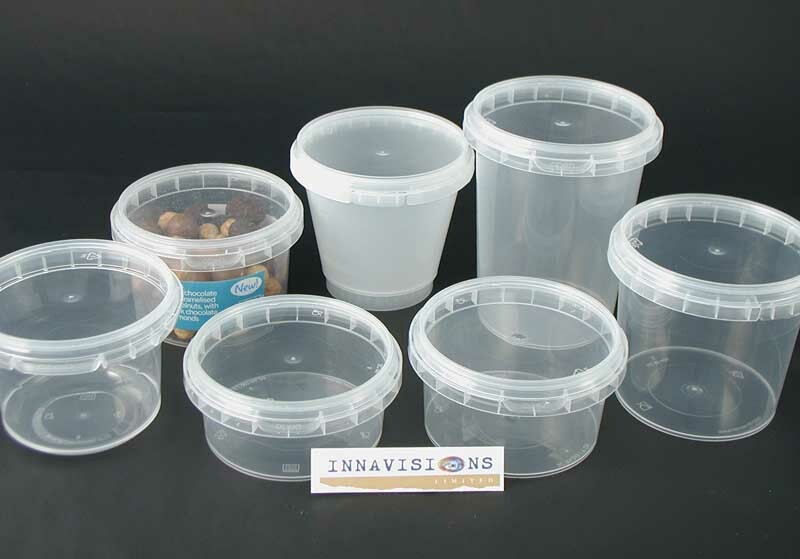 To compliment these containers, Innavisions also offered a range of buckets, all tamper evident and in round, square and rectangular formats up to 30L. 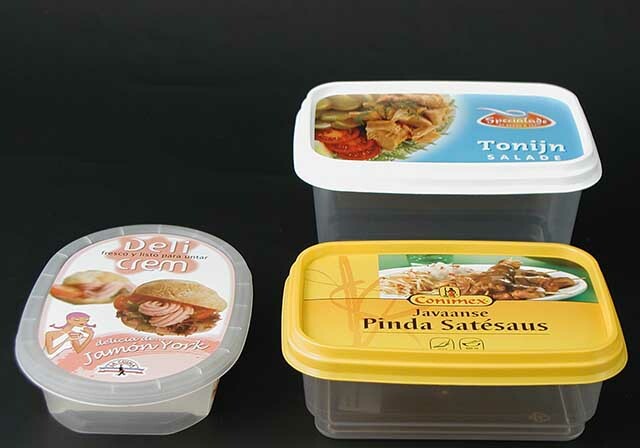 A unique range of film sealable packs can be offered in square, rectangular and oval shapes. These are injection moulded in PP for greater consistency of performance and hot fill / microwave applications. IML decoration offers excellent branding. 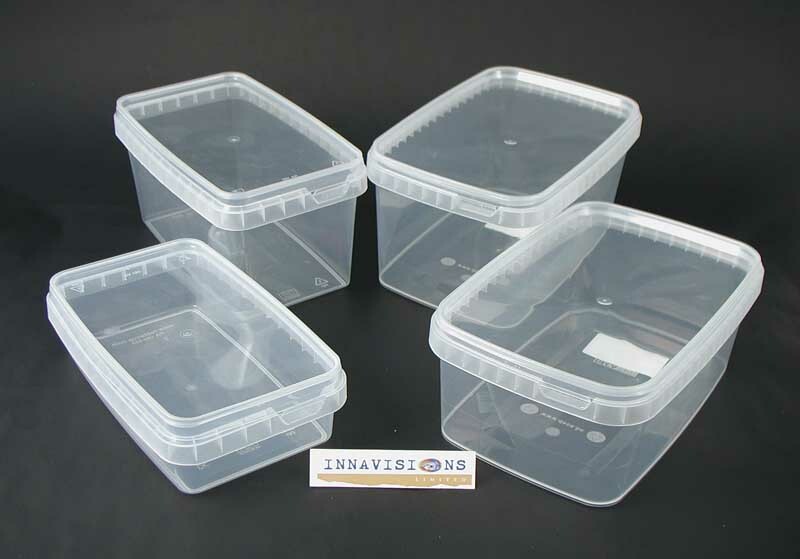 Trays are offered in both injection moulded and thermoformed formats. All are produced in PP and are suitable for a very wide range of uses. A wide range of sizes can be offered for both manufacturing styles. Based upon standard sealable diameters of 52mm, 75mm, 95mm, 115mm and 123mm. All packs are injection moulded in PP for hot fill and microwave usage and are available with lid options, both moulded and thermoformed. Decoration is available with IML.